UK scientists have revealed the world's first antimicrobial medical gloves, which could help prevent the spread of infections in hospitals around the world. Created by Professor Emeritus Richard James, a renowned microbiologist at the University of Nottingham, the gloves have been in the research and development stage for over six years, with Professor James working on the project with medical glove makers Hartalega Malaysia and antimicrobial research and development company Chemical Intelligence UK. 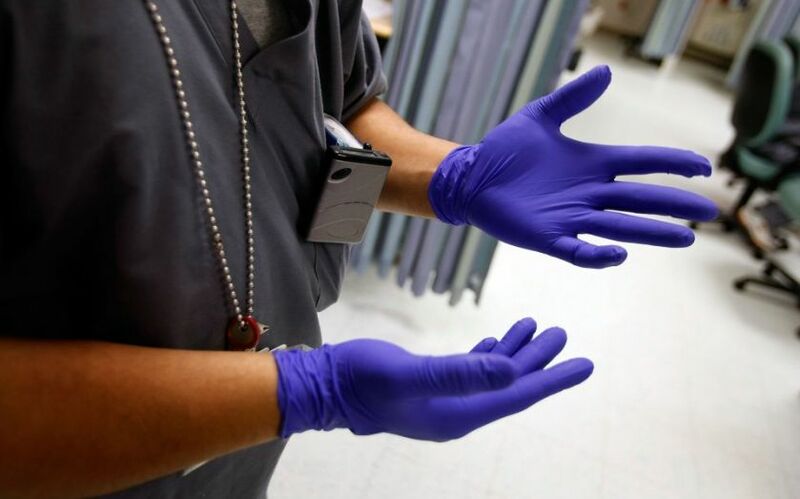 Previous research has shown that although medical gloves provide a protective barrier for healthcare workers to help reduce the spread of infection, they can still transmit bacteria to hospital surfaces if gloves that have become contaminated are not changed or removed. However, the new gloves contain a non-leaching antimicrobial technology which has been proven to prevent the spread of infection. Independent testing has shown that the gloves kill up to 99.9% percent of bacteria within just five minutes of contact, helping to prevent the transmission of microbes to and from surfaces and people and without the need of any surface cleaners or additional chemicals. The European launch of the gloves took place in London on Friday, with sales expected to reach the billions as healthcare organizations continue to battle with fighting infection and antimicrobial resistance. Thanks to a low manufacturing cost, the gloves are also set to become available in hospitals around the world helping to prevent the spread of infection globally. "These gloves will be a game-changer for the healthcare industry, both public and private," commented Professor James. "I am delighted that my life's research into bacteria and antibiotic resistance has directly informed the science behind a practical tool that will have a major impact on medical care in the future." Mr. Kuan Mun Leong, Managing Director of Hartalega Holdings Berhad, also added, "In the European Union alone, cross-contamination in hospitals results in 37,000 deaths a year at an additional cost of 7 billion euros. By renovating a medical device that has not been remodelled in over 30 years, our innovation is set to make waves in the healthcare industry and save lives across the globe."